Download Center - Program Directors, simply save target as and download these shows to your station's computer- These programs can be played in any time slot on any day of the week and free in return for promotional announcements for our web sites. 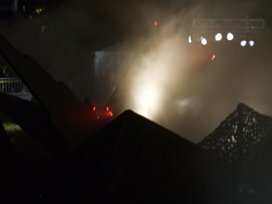 Program 312 - FBI Memo Surfaces, on new revamped web site about UFO crashes in New Mexico. Turns out to be an old memo released in 1977 originally and there is much discussion about the nature of the memo and if it's talking about the Aztec Crash, a UFO Scam to raise money or the Roswell Incident. Jerry examines all of the facts and the comments from various UFO researchers, then he presents remote viewer Lyn Buchanan who has had 18 different remote viewers from around the world target the Aztec UFO Crash- they say it happened and ETs were shot and killed by the US Military. Then in honor of the upcoming Roswell UFO festival, Jerry presents an interview he recorded in Roswell featuring Fate Magazine's Phyllis Galde, Marty Martin who knows just about everything there is to know about Roswell as well as a discussion on Ancient Mysteries, then Tom Carey well-known Roswell UFO researcher with stories from witnesses to Roswell. 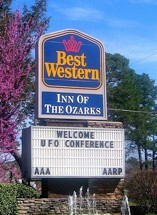 Program 311 - In honor of the 23rd annual Ozark UFO Conference being held this weekend in Eureka Springs, Arkansas, Jerry features some highlights of shows he has done from there over the years. Sam Maranto, Illinois State Director of MUFON, tells Jerry about his investigations of high strangeness in rural Wisconsin, UFOs landing at will, strange tree creatures, mysterious things that go bump in the night. Then Paul Von Ward talks about the idea that ancient Biblical texts might actually be talking about visitors from other worlds rather than the idea that God Created Man. David Rudiac then joins Jerry to talk about some strange happenings at Nellis Air Force Base and a little bit about the Roswell Crash. To wrap up the show we have Grant Cameron who explains to Jerry how he got interested in the Presidential aspect of UFOs, do they know anything or were they kept in the dark. 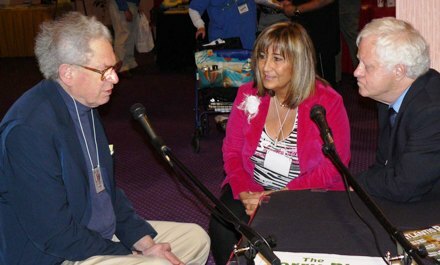 Program 310 - In this program Jerry takes a look at this past weekends Aztec UFO Conference with special correspondent Janet Sailor who was there, highlighting some findings of remote viewers targeting the Aztec UFO Crash and the follow up report, Chuck Wade's amazing find of a UFO part that tested out of this world. It was part of the UFO Crash at St. Augustin, and a brief discussion of 50 years of abduction experience. Then Jerry spotlights the upcoming Ozark UFO Conference in Eureka Springs with a re-play of one of Wendelle Stevens last interviews before his death concerning death at S-2 in Nevada by a strange biological contamination for ETs, then Jerry talks to Ted Phillips and one of his assistants about their work on the mysterious lights of Marley Woods in Missouri and Ted tells Jerry about his work with Alan Hynek and discovering a strange object in a subterranean base in Eastern Europe. Program 309- Jerry focusing in on the high strangeness that is New Mexico with additional details about the 1948 Aztec UFO Crash and the 14th annual symposium scheduled for this weekend. Jerry features Mark McCandlish telling a spine-tingling tale of his visit to the top of the Archuleta Mesa in the middle of the night, this is the rumored location of the ET underground base and Mark had something out of the paranormal happen to him while there. Much of the show deals with remote viewing and the exercise of 11 remote viewers from around the world trying to see what happened at Aztec in 1948. The results are startling. Jerry deals with the subject of remote viewing with two icons in the field, Lyn Buchanan and Russell Targ. Paola Harris and Janet Sailor join Jerry in this program covering the subject of remote viewing as well. 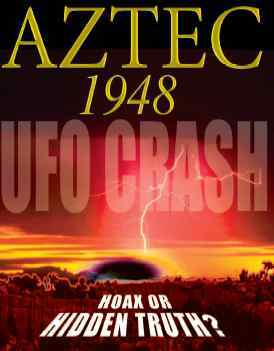 Jerry Pippin's UFO Show Program 308 - UFO Crashes in Aztec and other places in New Mexico occurred at least 7 times in the late 40s. In this program Jerry talks with Mark McCandlish who tells of how the book "Crash at Aztec" motivated him to stop and see the crash site for himself and he tells in detail what he saw. Then Jerry talks with Chuck Wade who has recovered wreckage from a UFO Crash at the Plains of St. Augustin in New Mexico. In the final hour Jerry shifts the locations of UFO sightings and high strangeness to Pennsylvania where he talks with Stan Gordon who started researching UFO sightings and Big Foot Reports as a teenager and has continued his quest for the truth for well over four decades. Jerry Pippin's UFO Show Program 307- Jerry features some reactions by Nick Pope, former UFO guy for the Ministry of Defense in the UK to the release of 8,500 more pages of documents on UFO investigations, then he talks with Katee McClure director of the Aztec UFO Symposium to be held at the end of the month. Katie and Jerry discuss some results of remote viewers focusing in on the Aztec Crash and the news that the US Army killed at least one of the ETs on site plus they go over the line-up and background of who is speaking this year. Then Jerry talks with Scott and Suzanne Ramsey who are recognized as premiere investigators on the Aztec Crash about some of the background on Aztec. Then wrapping up the show Jerry features an interview with Stanton T. Friedman who just returned from Saudi Arabia where he was featured on the same stage with many world leaders including former President Bill Clinton. Is disclosure coming sooner than we had anticipated? Program 306 - Art Campbell in an hour-long interview about his research on the President Eisenhower secret meeting in 1954 with ETS in a UFO at the end of the runway at Holloman Air Force Base in New Mexico, then Ruben Uriarte and Noe Torres present an overview of their research on a UFO Crash near Del Rio, Texas and then Nick Redfern talks about his research on UFO crashes and gets into some interesting stories about Big Foot and other creatures of the wild. Program 305 - Jerry starts the show off with an update on MUFON personnel as the manager of the Star Team steps down and gives the latest inside baseball on the Roswell situation for this year's 64th anniversary, then he presents Art McCurdy who was the editor of the afternoon newspaper there in 1947 with some of the details of how the story was covered and a surprising admission from commander of the base, Col. Joe Blanchard. Then Jerry presents an interview direct from Las Vegas Antonio Huneeus has spent three decades investigating UFOs in an official and semi-official capacity with the US government as well as several other countries through his UN connections. Antonio was a key player in the Rockefeller Initiative and he tells Jerry of some never-before reported incidents from the Soviet Union and South America. The show is wrapped up with another interview from Las Vegas featuring Peter Robbins as they discuss Madison Avenue and UFO. 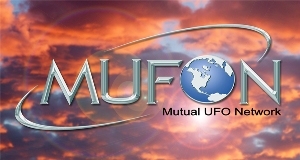 Jerry Pippin's UFO Show Program 304- A comprehensive program on the World's Largest UFO Reporting organization, the Mutual UFO Network. As a follow-up to last week's show, Jerry presents an in-depth look at the fast-track investigations unit set up in the United States called "The Star Team." Then Jerry presents the previous International Director James Carrion in a hard-hitting interview in which Carrion lays out why he left the organization and charges that a previous contract with the BAASS aerospace company compromised MUFON standards. Carrion also addresses why several state directors were replaced. To close the show, Jerry presents an Interview that was recorded exactly one year ago with the present International Director who had just taken over as the ID. Clifford Clift tells of his background and how he got interested in UFOs and has several good stories to relate about investigations he as been doing over the years. Jerry Pippin's UFO Show Program 302- This program originates with interviews from Las Vegas and they are all about UFO Crash reports. The Roswell Crash of Wales opens the show followed by Retired Air Force Col. Ron Blackburn who worked in black operations for 12 years with assignments concerning UFOs. Jerry talks with Michael Schratt about black operational secret air craft, Bill Hamilton covers his ET and UFO investigations over the years and Robert Wood, father of Ryan S. Wood, both involved in the Crash Retrieval research, then Jerry closes out the show with some actual recordings of Edwards Air Force Base Control Tower encounters with UFOs. Program 301 - Jerry takes a look at top stories of 2010 and features two programs that he thought were pretty well tied for the top story. 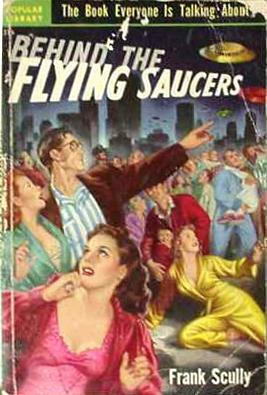 First he presents Independent journalist Paola Harris along with two eye-witnesses to a UFO Crash one year and 11 months before Roswell. It happened near the White Sands Missile Range at a little town named San Antonio in New Mexico. 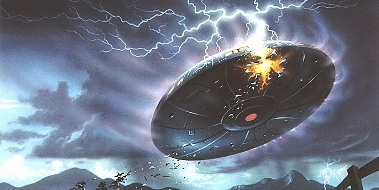 The witnesses saw the creatures and even were able to get a piece of the UFO before the Army took away the craft around Midnight on a weekend in August, 1945. Then Jerry presents the story of a Col. X who has come forward to tell investigative author Anthony Sanchez about Grays living beneath the surface at Dulce, NM near Los Alamos. An incredible story of revelations that these creatures have been on the Earth for a long time since very ancient times and were discovered to exist by the US Army in 1940.